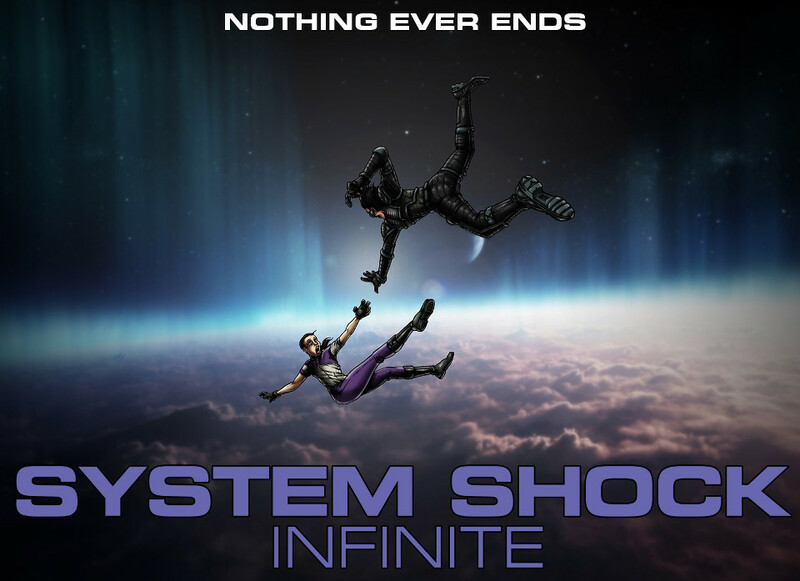 System Shock Infinite 2.41b has been released! Enhanced by months of user feedback, this update features a complete overhaul of the OS Upgrades system and further develops the Captain Diego storyline. Discover new weapons, enjoy unlimited time in the Cyberspace levels and unravel more mysteries to unlock the multiple endings. 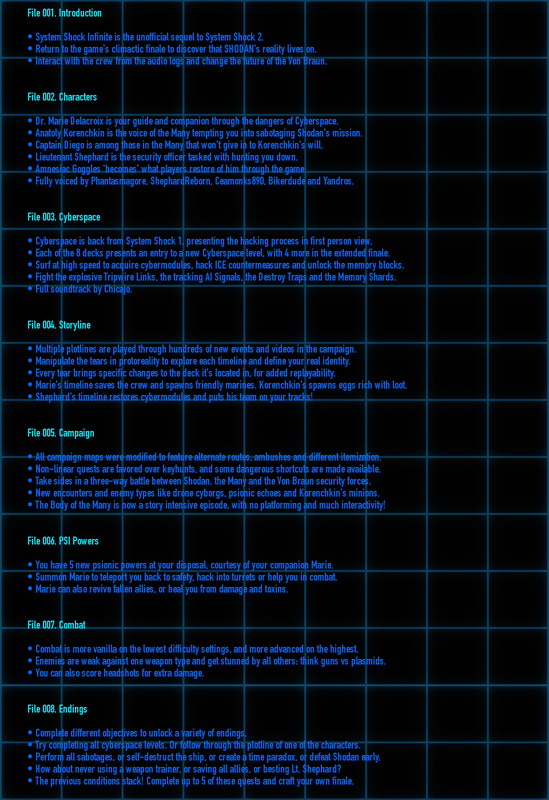 Full changelog. Story. What if it were actually possible, for the Soldier to meet up with Dr. Delacroix in the hangar bays? Join the two of them as they enter Shodan's world and become trapped in her schemes. What is real and what is hallucination, in her artificial reality? The answer lies in the amnesiac player's memory. Full script. Gameplay. Infinite plays a game of expectations with the veteran player. Core gameplay remains the same, but variation in the familiar events keeps you on edge: the formula is "shaken, not stirred". Choose a lower difficulty for a more arcade experience, or try the higher ones for some old-school RPG complexity. Fixed an issue with scrambled menu graphics which appeared after the recent update. Enter the tear on the Med-Sci deck and take any path. 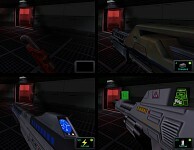 You will be able to take the door back to your own cryo-tube, which is normally locked. Hack your past self to get the ending! In the first map of medical to the south east, is an area where you start off the game. But soon afterwards, it gets sealed off for the rest of it. After you visit the tear in the second map of medical, that part is accessible again: just destroy a certain door marked "heavy target" and pass. I assume coop is still in development? I've tried disabling all my mods except for Infinite (All just cosmentic mods and SCP) to no avail. Any assistance would be welcome. I'll PM you for assistance! Fixed! I feel a bit like an idiot, but I needed to unzip the System Shock Infinite folder and put it's contents in it's own *.zip / *.rar file..Didn't realize!